Presented alongside Expedition: Elsewhere, please join us for an afternoon tour of the exhibition hosted by curators Amanda Low and Philip Ocampo. Each working in the medium of expanded animation, Amanda and Philip will guide participants through the exhibition, acquainting them with the artworks in the exhibition and the new worlds that each unlock. Please wear comfortable clothing, as there will be some movement and physical activity involved. Animation is a powerful exploratory tool which allows viewers for a brief moment through their screens, to imagine worlds beyond their own. But what happens when you take this grandeur and extend it past the single channel screen? What happens when the animator becomes the explorer? Expedition: Elsewhere moves the animation-viewing experience beyond the act of simply gazing: Spatial integration grants access to places unseen and worlds uncharted. The 6 artists of this exhibition embrace animation’s ability to push beyond the confines of reality with works that challenge the perceived limitations of the medium of animation itself. Presented in partnership with Images Festival. 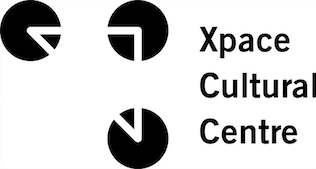 Xpace acknowledges the generous support of the Ontario Arts Council for this exhibition.